Hey Baseball fans. Ever wonder how Latinos raised the art of playing baseball to the level where it currently exists? Ever wonder who laid the foundations for today's Latino superstars? Well, we here at Latinoball will attempt to shed a light on the subject through weekly (or semi-weekly =>) posts. Please feel free to join in and add to our discussions. On This Day in Baseball History July 19, 1960: A pair of young Latino pitchers throw complete game 1-hitters, both losing their no-hit bids in the eighth inning. 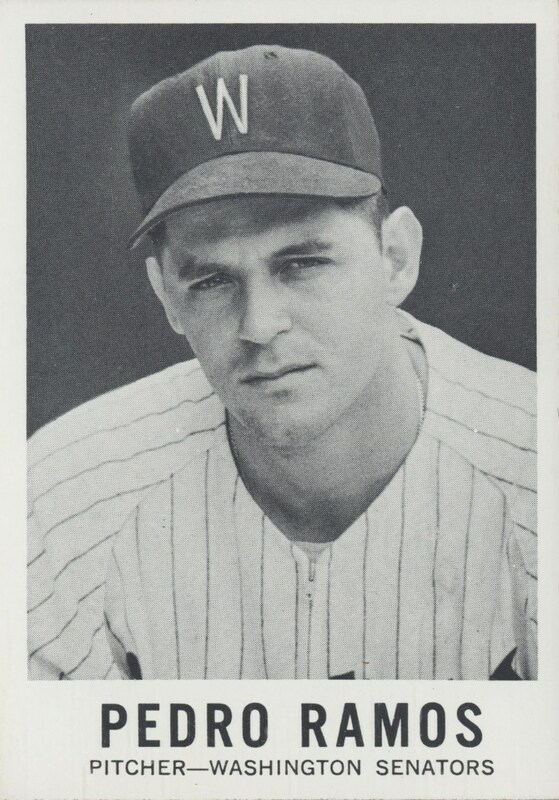 25-year old Cuban Pedro Ramos of the Washington Senators defeated the Detroit Tigers 5-0 at Detroit's Navin Field by hurling a 1-hit, 9-strikeout, 4-walk game that was disrupted by Rocky Colavito's eighth inning leadoff single that just got by Senators' shortstop Jose Valdivielso. Ramos' gem was one of the only bright spots of the 1960 season for the Cuban hurler. Ramos was on track to lead the American League in losses for a third year in a row. Ramos would go 14-18 in 1958, 13-19 in 1959, 11-18 in 1960 and he would also add another consecutive league leading 11-20 record in 1961. Ramos would finish his 15-year career with a 117-160 record. 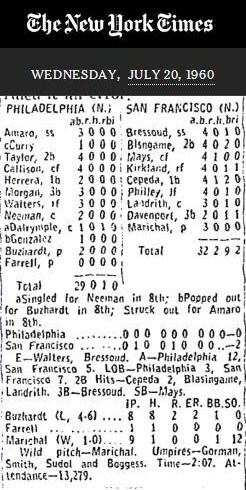 As I posted on my BaseballSisco blog, Juan Marichal made his career debut with a 1-hit, 12-strikeout, 1-walk complete game 2-0 gem against the Philadelphia Phillies at Candlestick Park. 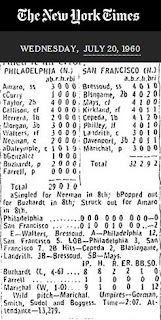 As with Pedro Ramos, Marichal would lose his no-hit bid in the eighth inning by allowing a single to Clay Dalrymple. Marichal would fare considerably better in his career than Pedro Ramos did. 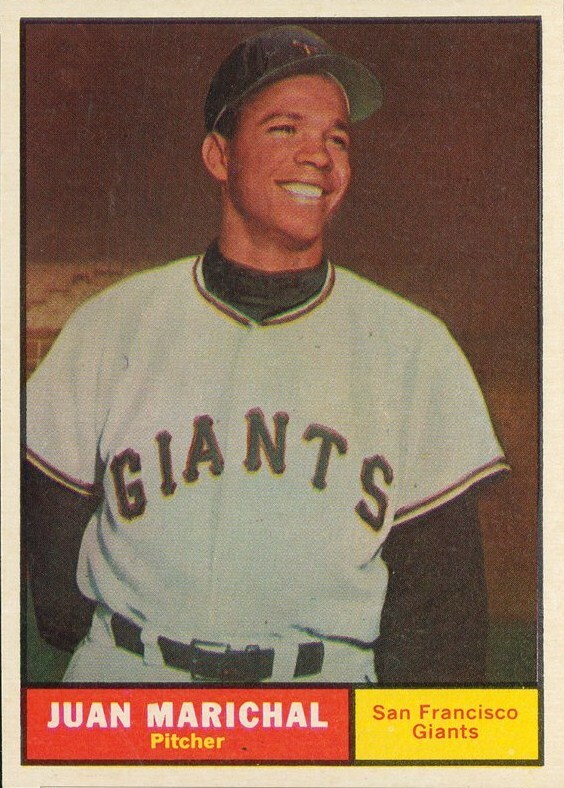 Marichal would become one of the premier pitchers during the era of the Pitcher of the 1960's. Pitching against such stiff competition as Sandy Koufax, Don Drysdale, Bob Gibson and Warren Spahn, Marichal was able to finish with a 243-142 record over a 16-year career. Marichal led the league in victories twice with a 25-8 record in 1963 and a 28-9 record in 1968. Marichal also put up seven straight sub 3.00 ERA seasons from 1963-1969 with a league and career best 2.10 ERA in 1969. Even more impressive was Marichal throwing 260+ innings in a season eight times with a league leading 321.1 in 1963 and a league leading and career high 325.2 in 1968. Marichal would finish the 1960's with 191 wins and 195 complete games. Though both Latino hurlers had careers that went in different directions, they both share a moment in time when both threw 1-hit complete games on the same day. 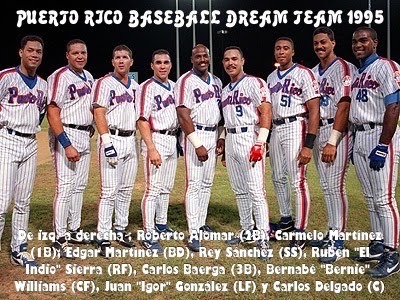 I recently came across the article Remembering the '95 'Dream Team' by Gabrielle Paese from ESPN's MLB webpage and decided to look a little deeper into the Dream Team that made up Puerto Rico's selection for the 1995 Caribbean League World Series. You have one Hall of Famer in Alomar. A second one (in my opinion) in Edgar Martinez. A borderline third one in Carlos Delgado. A very underrated Bernie Williams, one of the feared sluggers of the era in Juan Gonzalez and defensive whizzes in Carlos Baerga and Rey Sanchez. A young Carlos Delgado was behind the plate, a postition that most fans don't remember he came up to the majors as before being moved to first base by the Toronto Blue Jays. Keep in mind that Ivan "Pudge" Rodriguez was not on the roster due to a knee injury. Or else he would have also been playing in this series. The Puerto Rican dream team went undefeated in the tournament going 6-0 outscoring the opposition by a margin of 49-15. They were led by Series MVP Roberto Alomar who batted .560 with two home runs, 10 RBIs, 9 Runs scored, an .840 Slugging percentage and 2 Stolen bases. Bernie Williams hit .417 with three homers and a .875 slugging percentage, Juan Gonzalez hit .375 with a .667 slugging percentage and Edgar Martinez hit .375 with 9 RBI. In terms of pitching, the team was led by Puerto Ricans Roberto Hernandez, Ricky Bones, Jose Alberro and imported pitchers Doug Brocail, Eric Gunderson and Chris Haney. "I had never before seen a team that so wanted to represent Puerto Rico," said veteran statistician, historian and journalist Jossie Alvarado about the Senadores, who traded the club's name and played with Puerto Rico on their uniforms for the first time in Caribbean Series history. "The front office staff told me that no checks were ever cut for the major leaguers. They all waived any fees they could have charged just because they so wanted the chance to play for the island. It was that big a deal." Its a shame that Baseball has been on the decline in Puerto Rico since then. There are many reasons such as Puerto Rican players being included in the player draft since 1990, the economics of the island that led to the disruption of play of the Puerto Rican league during the 2007-2008 season and interests in other sports such as Basketball and Boxing. With the possible opening of the Cuban baseball market in the near future, opportunities for Puerto Rican born players will continue to dwindle. At least we can all look back on the 1995 Caribbean League Champion Senadores de San Juan to see what arguably the peak of Puerto Rican baseball is. 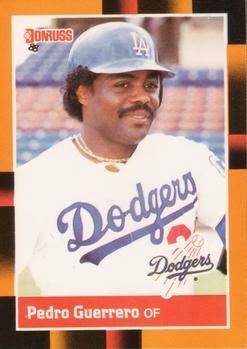 It was reported a few days ago that former slugger Pedro Guerrero of the Dominican Republic had been hospitalized with cranial bleeding at el Centro de Diagnóstico y Medicina Avanzada (Cedimat) in the city of Santo Domingo, DR. Guerrero, who played 15 major league seasons for the Los Angeles Dodgers and St. Louis Cardinals during the 1980's through the mid 1990's was one of the pre-eminent sluggers to come out of the Dominican Republic. At a time when many Dominican players came from the "no-hit good glove" school of middle infielders, sluggers like Guerrero and George Bell paved the way for later Dominican Sluggers such as Vladimir Guerrero, Raul Mondesi, Manny Ramirez, David Ortiz, Adrian Beltre, Sammy Sosa and Albert Pujols. In his 15 year career, Guerrero was a model of consistency both at the plate and in the field. Guerrero hit for .300 or more seven times finishing with a career .300 average. Guerrero was a five time All-Star, a Silver Slugger in 1982 and four top five MVP voting results, finishing in the top three in 1982, 1985 and 1989. In his earlier years, Guerrero played at practically every position that Dodgers manager Tommy Lasorda plugged him into except shortstop and pitcher. In his time with the Cardinals, Guerrero was primarily a first baseman while playing a number of games in the outfield. His crowning moment came on October 28 1981 during Game Six of the 1981 World Series against the New York Yankees. Guerrero unloaded against the Yankees by going 3-for-5 with a solo home run, a triple and a bases loaded single for a total of five RBIs. 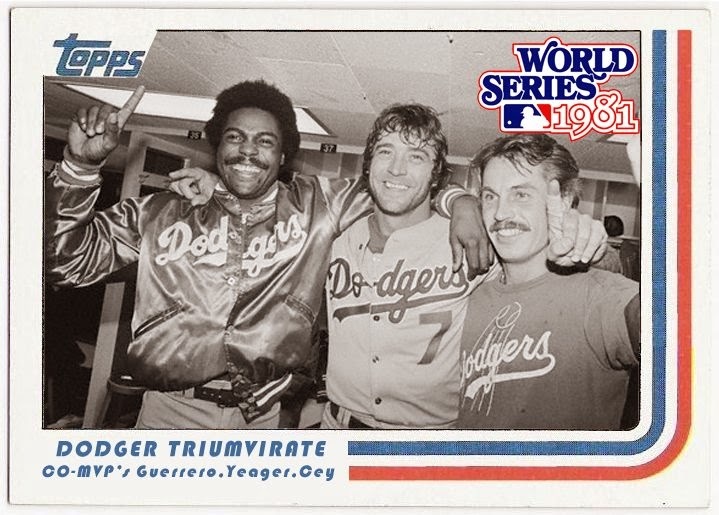 Guerrero batted .333 (7-for-21) with two homers and seven RBIs earning co-World Series Most Valuable Player honors with teammates Ron Cey and Steve Yeager. Guerrero was always a family favorite growing up. El "Orgullo Dominicano" was always exemplified with his effort on the field not only in MLB but also in the Dominican League. The Dominican newspaper El Listin Diario states that Guerrero "has recovered more than 80 percent mobility in his left arm". Hopefully Guerrero can make a full recovery from his injuries. Jose Altuve put together one of the most impressive seasons with his 2014 American League batting and hits titles. Altuve finished with a .341 batting average with 225 hits. 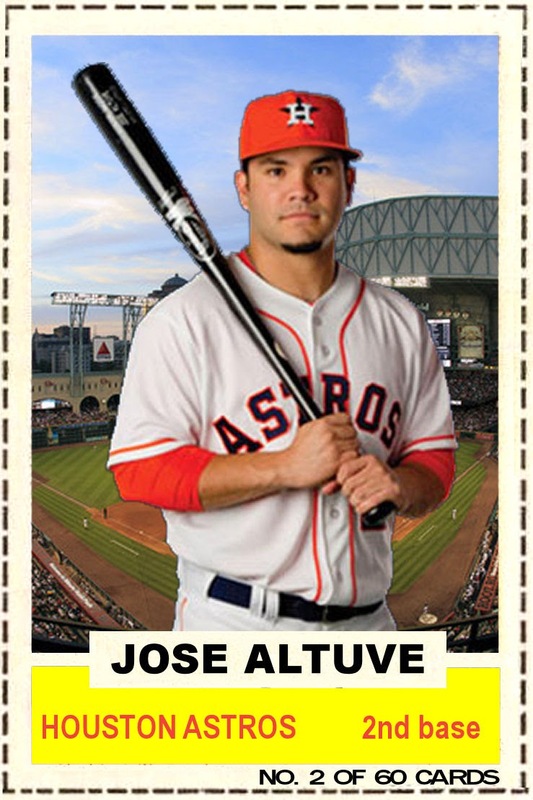 Now consider this, Altuve's 225 hits places him in 3rd place All-Time for Hits by a Latino Ballplayer. 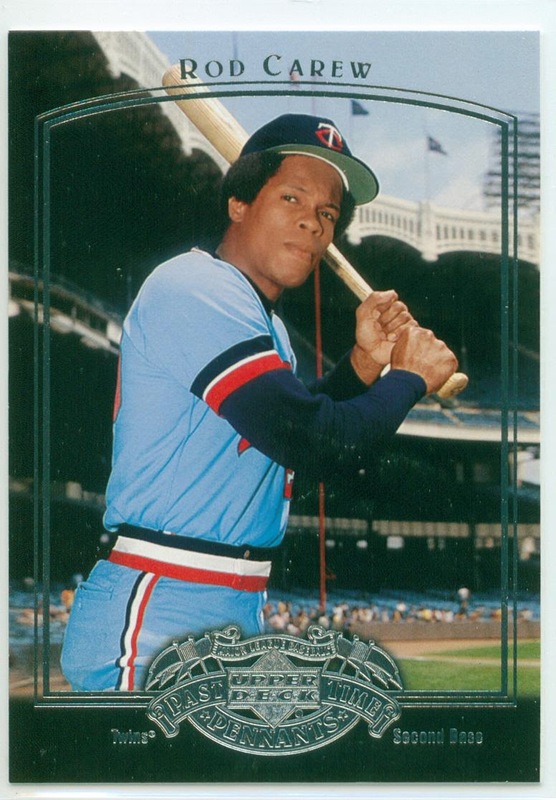 At the age of 31, Panamanian Rod Carew put up a career high 239 hits during the 1977 season in which he won the American League Most Valuable Player Award while a member of the Minnesota Twins. 1977 was also a career year for Carew in terms of batting average. Carew hit .388 that season with 38 doubles, 16 triples and 14 home runs while driving in 100 runs and scoring 128 runs. 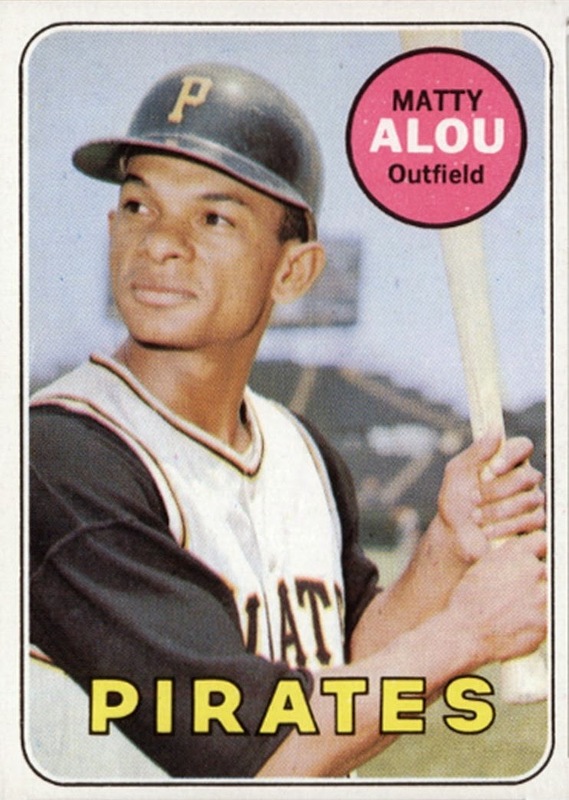 One of the famed trio of Alou Brothers from the Dominican Republic, Matteo Alou racked up a career high 231 hits for the 1969 Pittsburgh Pirates. Alou batted .331 with a league leading 41 doubles, 6 triples and 1 home run while driving in 48 runs and scoring 105 runs. What's impressive about Altuve's 2014 season is that he was able to do so at the young age of 24. Altuve batted a career high .341 with a career high 225 hits. He raked 47 doubles, 3 triples and 7 home runs with 59 Runs batted in and 85 runs scored. Add to that, the league leading 56 stolen bases that Altuve swiped. Will Altuve get much AL MVP consideration outside of Houston? The front runners are currently Mike Trout, Nelson Cruz, Adam Jones and Victor Martinez. I think it will be hard for Altuve to win the AL MVP though if I had a vote, he'd be my pick. What do you think, does he have a chance to win AL MVP? On this day in Baseball History September 22, 1986: Native of Etchohuaquila, Mexico by the name of Fernando Valenzuela Anguamea nicknamed "El Toro" became the first Mexican-born pitcher to win 20-games. Pitching for the Los Angeles Dodgers against the Houston Astros at the Astrodome, Fernando threw the 19th of his league leading 20 complete games for his 20th victory. 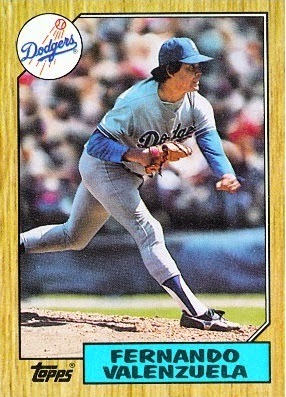 Valenzuela was en-route to a 21-11 record and his only career 20-win season. Valenzuela would come in second in the National League Cy Young vote behind Mike Scott of the Houston Astros. The 1986 season would be special for Mexican-born pitchers with Teddy Higuera of the Milwaukee Brewers joining Valenzuela in the Mexican-born 20-game winner club. Higuera would win his 20th game on October 1, 1986 against the Detroit Tigers. As with Valenzuela, Higuera would finish second in the American League Cy Young vote. His 20-11 1986 campaign would be his only 20-win season in his career. Will we ever see another 20-win pitcher from Mexico? There are currently a couple of pitchers who can do so. Jaime Garcia of the St. Louis Cardinals has won 13 games twice (2010 and 2011). Injuries have seemed to have slowed him down. Jaime de la Rosa of the Colorado Rockies has won 16 games twice (2009 and 2013) and currently has 14 wins this season. Marco Estrada of the Milwaukee Brewers is also another pitcher that has the potential if he can become a fixture in the Brewers rotation. Miguel Gonzalez of the Baltimore Orioles is also another potential pitcher for the Mexican- born 20-win game. My prediction is Yovani Gallardo of the Milwaukee Brewers. 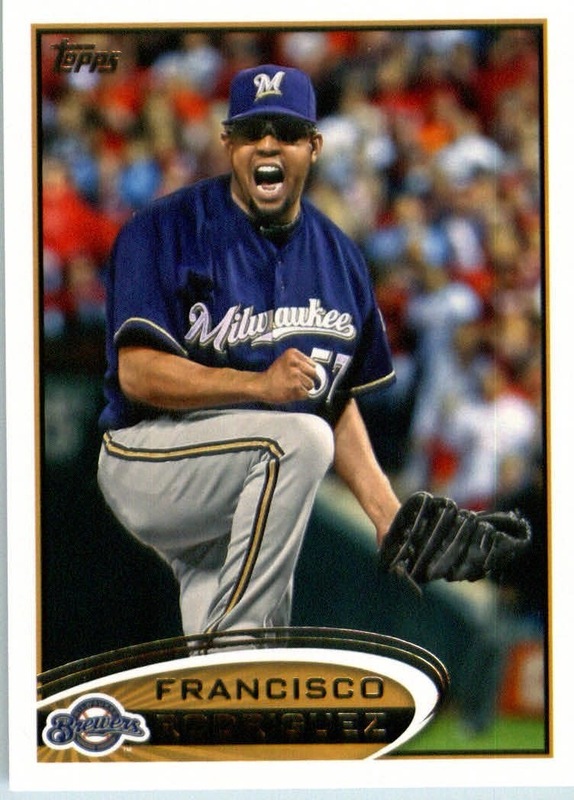 Gallardo has put up 13, 14, 17, and 16-win seasons with the Brewers. I believe that if anyone of the Mexican pitchers that I mention that are currently playing in MLB can reach 20-wins, its Gallardo. What do you think. Agree? Disagree? Anyone else that I failed to mention? We'll have to wait and see if any of these pitchers step up next season. 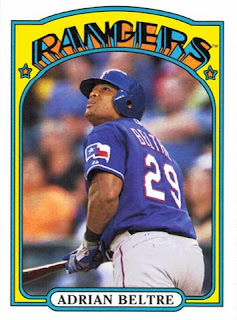 As I wrote on my Baseball Sisco blogpage on May 8, 2014 in the post Five Players to Hit 100 Homers With Three Different Teams, Adrian Beltre became the fifth player to hit 100 homeruns for three different teams. In doing so he joined Hall of Famer Reggie Jackson, Darrell Evans, Alex Rodriguez and Jim Thome in that exclusive club. 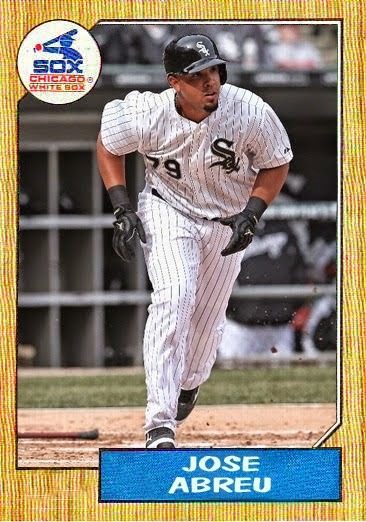 The Cuban Beisbol renaissance continues in MLB with Jose Abreu of the Chicago White Sox being selected the American League player and American League Rookie of the month of April. He is the first American League player to do so and second overall. His fellow countryman Yasiel Puig of the Los Angeles Dodgers is the first winning the equivalent National League honors last June. For the second time this season, it included four players from Cuba: (Alexei) Ramirez at shortstop, Dayan Viciedo in right field, Adrian Nieto catching and Jose Abreu, who signed for six years and $68 million last October, at first base. No team since the 1969 Cleveland Indians had started four Cuban-born players in a game. That is a forty-five year gap where players from The Dominican Republic, Puerto Rico and Venezuela stepped in to fill the gap left by the decreasing number of Cubans in the Majors due to the closing of the Cuban market. Add to this mix players like the aforementioned Yasiel Puig, Jose Fernandez of the Miami Marlins, Yoenis Cespedes of the Oakland Athletics and Aroldis Chapman of the Cincinnati Reds to name a few. The future of Cuban Beisbol is definitely growing bright in the MLB. Here are Jose Abreu's statistics up to May 8, 2014. Speaking of a renaissance, Venezuelan closer Francisco "K-Rod" Rodriguez seemed to have put all his personal issues behind him this season. Through the month of April, Rodriguez went 13-for-13 in save chances tying Kaz Sasaki of the Seattle Mariners who had recorded 13 saves before May 1st in 2001. I didn't realize that Rodriguez is only 32 years old. It seems like he's been around forever. The first time I noticed K-Rod was when he was the set-up man for the then Anaheim Angels closer Troy Percival. He was signed as a free agent in 1998 and made his debut for the Angels on September 18, 2002 at the age of 20 during the Angels run to an eventual World Series Title. It's good to see that he's been able to rebuild his career after a few tumultuous seasons with the Mets and seemingly unfocused seasons from 2011-2013. Here are Francisco Rodriguez's statistics up to May 8, 2014. Well, that's it for now. If I missed any Latino achievements in the Major Leagues, please feel free to contact me at baseballsiscokidstyle@gmail.com, at my Twitter @Baseballsisco, My Google+ +Francisco Hilario (BaseballSisco) and at my Facebook page Baseball Sisco Kid Style. This past week was a historical one for Latinos in the Major Leagues. Let's not waste time and jump right in. Los Angeles Angeles of Anaheim slugger Albert Pujols looks like he's back to form in dealing with a couple in injury filled seasons in California. Pujols became the 26th and youngest player to reach the 500 homerun club. 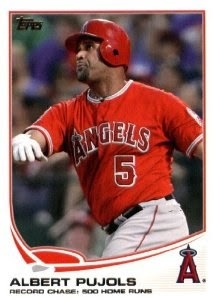 At age 34, Pujols hit both homerun 499 and 500 against Washington Nationals starter Taylor Jordan on April 22. He is the first player to hit both homers 499 and 500 in the same game. El Hombre is back!!! Cuban slugger Jose Abreu is certainly making his mark on the Majors in his first month with the Chicago White Sox. Abreu has set the major league rookie record for RBIs with 31 through April 27. Abreu is batting .262 with a league leading 10 homeruns and 31 RBIs. He still has three games to add to his rookie record for RBIs in the month of April with one game against the Tampa Bay Rays and two against the Detroit Tigers. Let's see where he ends up. 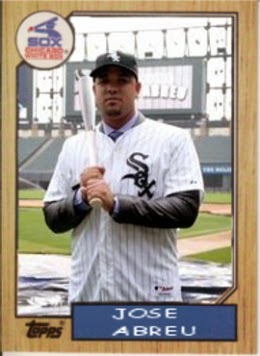 Jose Abreu courtesy of the blogpage White Sox Cards. Check them out. 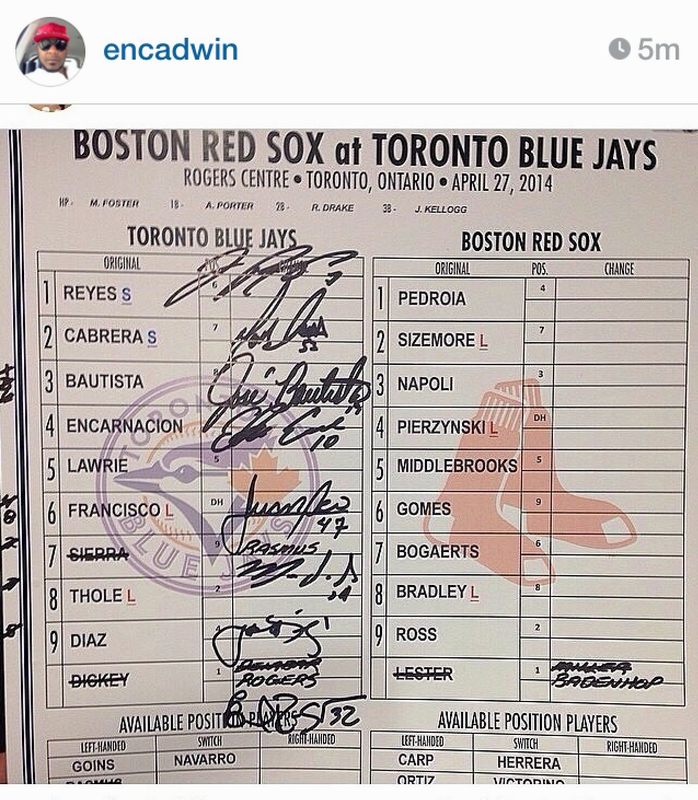 I'm not sure when Toronto Blue Jays manager John Gibbons filled out his lineup card on April 27 against the Boston Red Sox he realized that he was making history. By slotting Jose Reyes (SS), Melky Cabrera (CF), Jose Bautista (LF), Juan Encarnacion (1B), Juan Francisco (DH) and Moises Sierra (RF) into the starting lineup, this would mark the first time that six players from the Dominican Republic were in the starting lineup at the same time. Do The Tigers Sign Scherzer?